14k yellow gold is never going out of style. It has been worn for thousands of years and this red mozambique garnet band with baguette-cut gemstones compliments the color of gold and makes this a ring that you will want to wear with nearly every outfit. Perfect as a stand-alone ring or "just because" or as a stackable band or even a garnet wedding band. 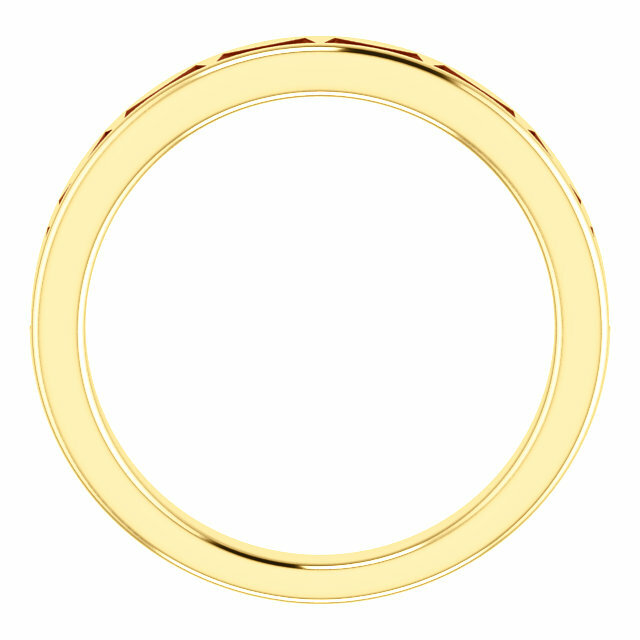 The ring is available in women's sizes 6-8 (including half sizes) and the band measures 3.2mm in width. Apples of Gold Jewelry offers free shipping on every order to the U.S. and international shipping is also available. 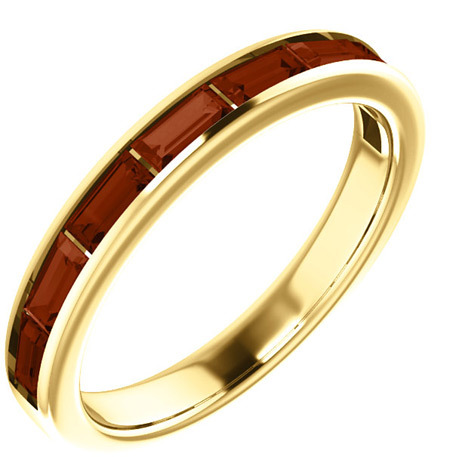 We guarantee our 14K Yellow Gold Mozambique Baguette Garnet Band to be high quality, authentic jewelry, as described above.